Having lived in Las Vegas, NV, for forty years, T. M. Smith permanently moved to Bainbridge Island in 2011. 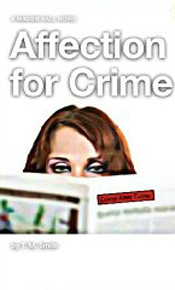 Her first novel, Affection for Crime (2012), is a romantic humorous mystery highlighting Las Vegas Gazette crime columnist Maggie Hall. Hall, a combination of Luella Parsons, Scarlett O’Hara, and Typhoid Mary, follows a bribery scandal that leads to two murders and attempts on her own life. Maggie realizes she’s on the trail of the hottest story of her career. She’s also on the trail of two of the hottest men she’s ever met - Rick Steele, an investigative reporter at the Gazette, and Coop Demarco, an FBI agent assigned to the case. In reviewing this book, a reader says, "Fast paced... fledgling author knows Las Vegas, fashion, humor wrapped in a quirky female crime reporter. If you are looking for a quick, entertaining read, this could be the one." For more information on T. M. Smith and Affection for Crime, go to http://smithtm.weebly.com/index.html or check Smith's blog http://herestochoices.blogspot.com.